When a storm damages your roof, it can be a stressful time. The insurance process can be long and tedious, but it doesn’t have to be. We will work directly with your insurance company to help ease your stress and the roof insurance claim process be as smooth as possible. Modern Roof Co works with insurance companies all the time. They are often touted as the enemy, but that is not the case. Your insurance company wants to restore your property to its once pristine condition. We work with insurance companies to make the process easy, and make sure your most valuable investment is restored. Our claims experts and project managers will guide you through the roof insurance claim process. We work directly with the insurance claims adjuster and make your claim straightforward. We have decades of experience and know the steps to manage all of the trades involved with the damage to your property. Whatever the storm damage—from wind damaged shingles to filing a hail damage roof insurance claim—Modern Roof Co is on your side. Dealing with storm damage is a headache you don’t need in your life. It can be a door that opens more and more problems, from the roof to the foundation. Modern Roof Co employs claims experts that work directly with engineers to provide you with roof reports. We are extremely thorough and make sure all damage is accounted for during our inspections and our meeting with your adjuster. Let us deal with this insurance headache for you. We are well versed, eager to be on your team, and want you to get the best roof possible. The first step in any roof insurance claim is to contact your insurance provider. We can help you find the number and handle the call, but you will need to call. The first contact is important and Modern Roof Co. can help guide you through it. 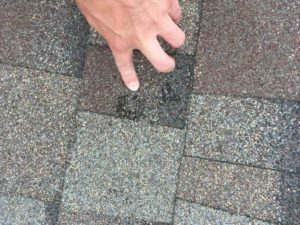 The second step in the insurance claim process is the insurance claims adjuster will set up an appointment to inspect your roof. Our project managers will inspect the roof with you and the adjuster. This ensures a proper inspection and accounting of all variables. The third step is adjusting the claim for the total amount of work. The insurance claims adjuster provides a written scope of work in a week or two. We assess the adjusted scope of work and provide our estimate for the repairs. This step is essential and Modern Roof Co does its due diligence to handle every available detail. 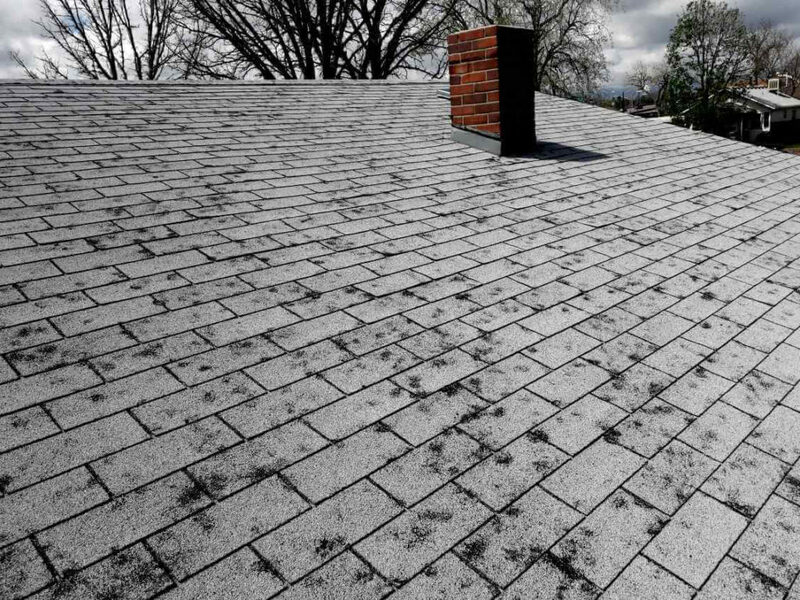 This step of the insurance claims process involves using Xactimate and thoroughly assessing your roof insurance claim. We negotiate with insurance claims adjuster and mutually agree on a new adjusted scope of work. The fourth step is construction. The fourth step is repairing or replacing your roof. We have crews and subcontractors ready to start working on your roof today. 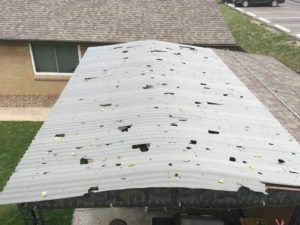 Whether it is hail damage, wind damage, or any storm damage that destroyed your roof, we guarantee to restore your roof completely, and frequently in far better shape. Communication is necessary during construction. Your insurance will send you checks and notifications for each adjustment made. To make sure your roof construction goes smooth, please keep an open line of communication with Modern Roof Co and your roofing crew regarding communication with your insurance company. The fifth step is a happy customer and proud roofing contractor. We complete your roof and handle any additional insurance documentation. We love to hear feedback on our work. If you have time, please provide a review, we appreciate your time. Denver, Colorado and the surrounding areas are frequent victims of vicious hail storms. When a storm devastates your neighborhood, you can be sure to see hail storm chasers come out of the woodwork. There are more than a handful of disreputable roofing ‘companies’ out there. They assess your hail damage roof insurance claim, take your money, and run. These scammers make a bad name for the industry and you shouldn’t have to deal with criminals. You can trust Modern Roof Co to do the job right. We will be with you throughout the insurance claim process and make sure your property is restored to its original state. We founded the company on reliability and putting our customers first. Our project managers have completed hundreds of hail damage roof insurance claims and all to customer satisfaction. When hail strikes, contact Modern Roof Co about your hail damage roof insurance claim. Wind can be as damaging, if not more so, than hail and other heavy storms. The roof insurance claims wind damage category is not something that’s on your mind on a windy day. 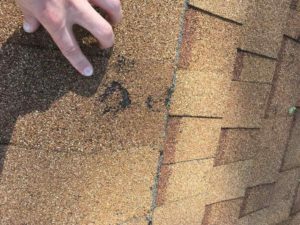 As the winds pick up and become dangerous, you might notice wind damaged shingles. 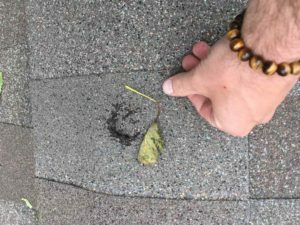 Your insurance company typically covers the wind damage to your roof. Modern Roof Co handles the wind damage roof insurance claim. As a Denver-based roofing company, we see these claims all the time. Our local project managers will repair your roof quickly. We handle roof shingle repair, roof tile repair, and most other wind damage roof insurance claims. Wind damage can happen at any time, and when it does Modern Roof Co will be at your side to fix your roof. Roofing contractors are not allowed to pay, waive, rebate all or part of a property insurance deductible. Contractors that promise to do this are, in effect, violating Colorado State Law. The deductible is due to the contractor from the property owner before or upon completion of work. Deductibles exist to keep eliminate small claims and keep premiums more affordable. They keep homeowners accountable and invested in the utilization of insurance-covered restoration. Without deductibles, property owners would be less cautious about their property and attempt to collect excess funds for losses. MODERN ROOF CO is a reputable company that respects the law. In certain cases, payment plans may be an option if your full deductible is not affordable at the time of restoration. Call us today (720-722-3356) with any questions or to set up an appointment to assess your situation!